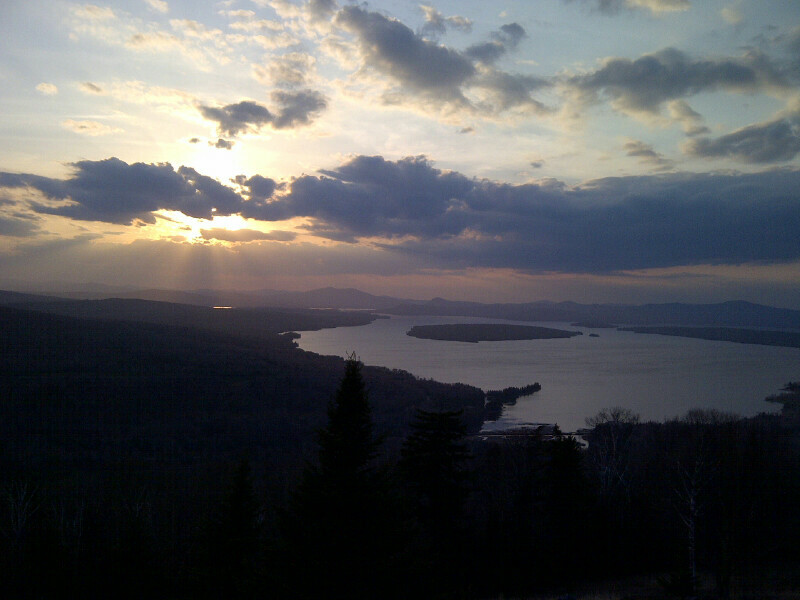 This weekend I made a spontaneous trip to the Rangeley Lakes Region. 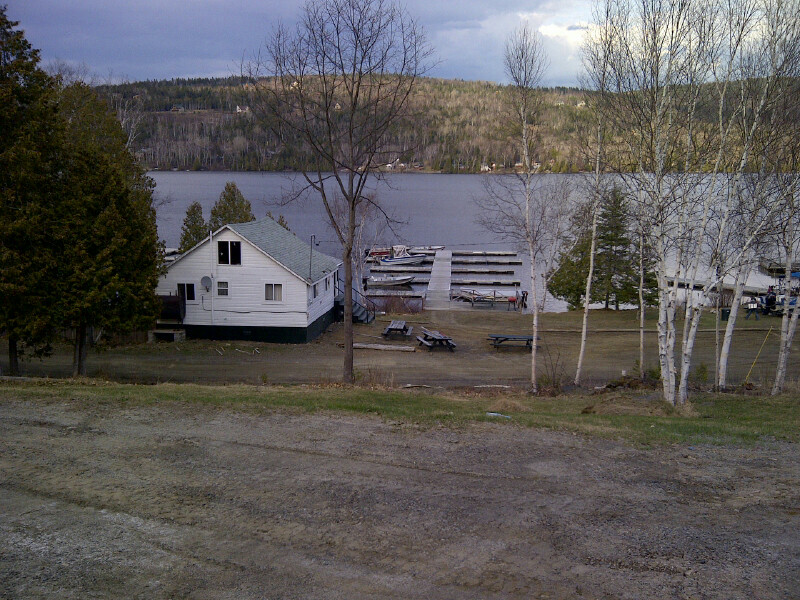 We were unsure if we were timing it too early but the ice went out on the ponds on April 16th this year which was unseasonably early. 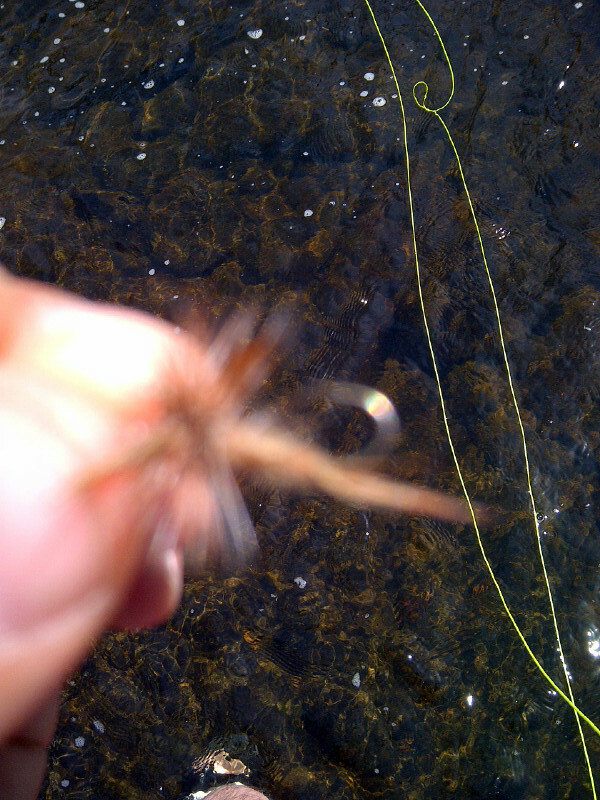 The boat didn't have down-riggers so the fishing was very difficult. It was my first time trolling for Salmon, we used a sewn on smelt among other things. 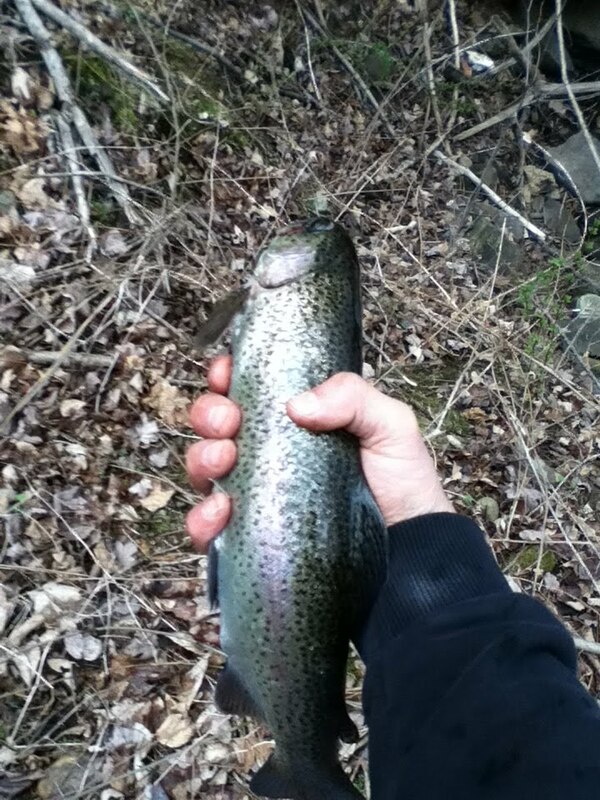 The first day we timed it poorly, the water temperature was too cold and the fish were still pretty deep. 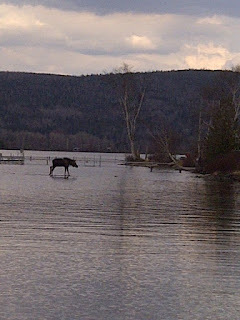 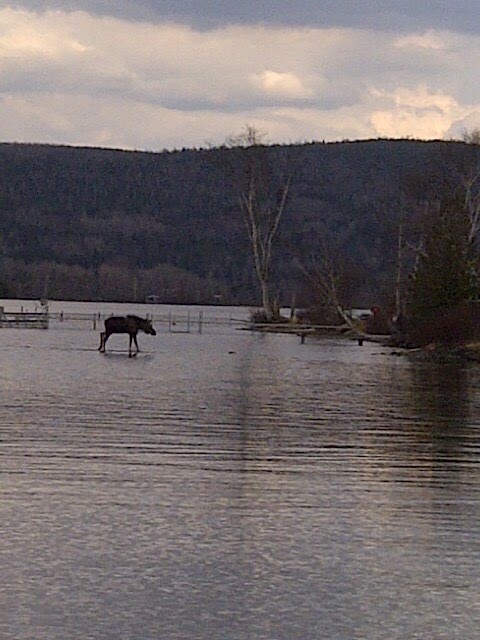 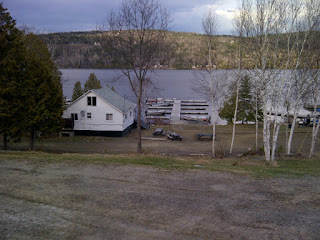 We were also surprised by a guest appearance by a moose taking a bath down by the water(see picture). 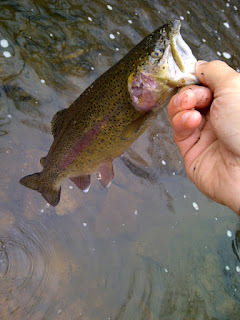 The second day we decided to make an excursion up to the Magalloway River, based on some advice from a local. The brookies hit pretty hard on the Magalloway, they were using a variation of yellow stone flies and some bead head nymphs. I caught a sucker on a stone fly but that was pretty much it. 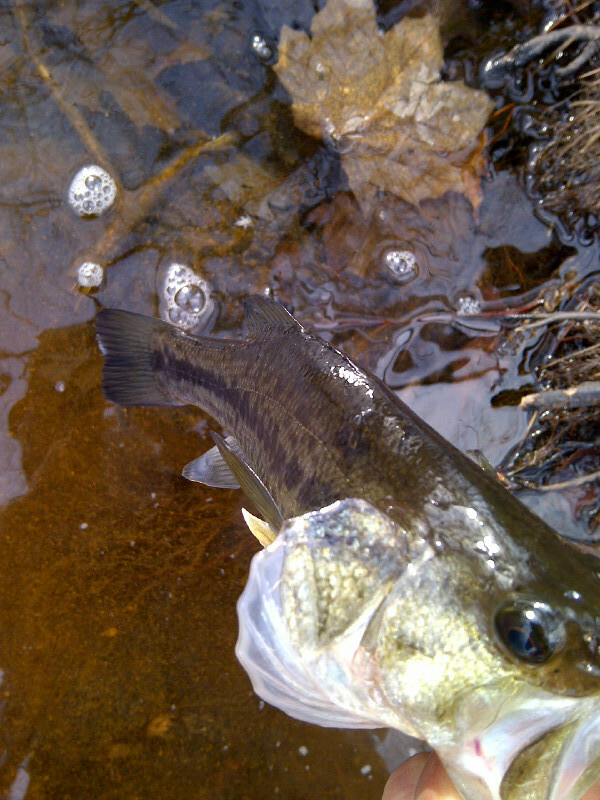 I was surprised to find that the Quinnebaug river had been stocked two weeks in a row. 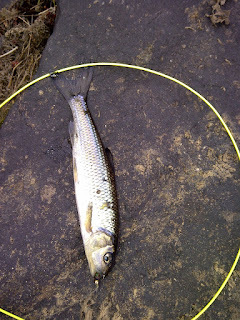 I believe this is because of the river race. 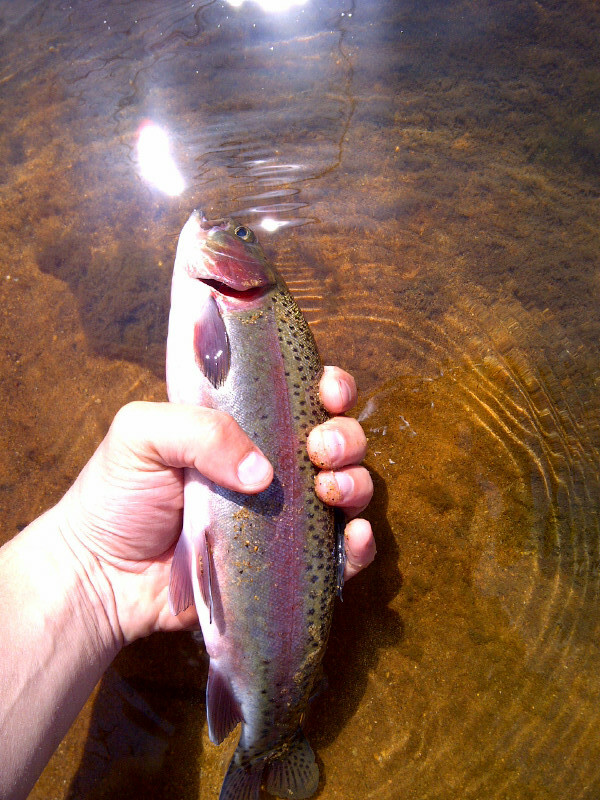 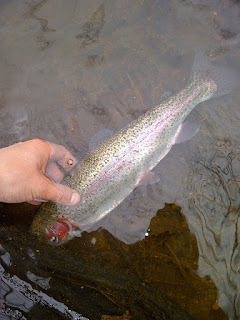 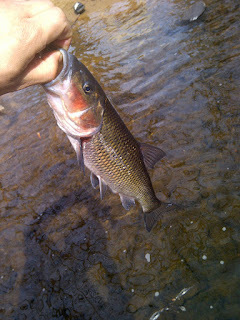 The Rainbows were hittin dry flies hard today, I caught a few little ones and lost a nice big one. 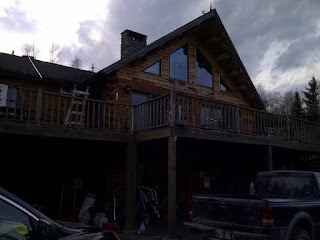 Will be back there in the Am. Here's some more Rainbows I caught on Easter Sunday. Also a Daise. 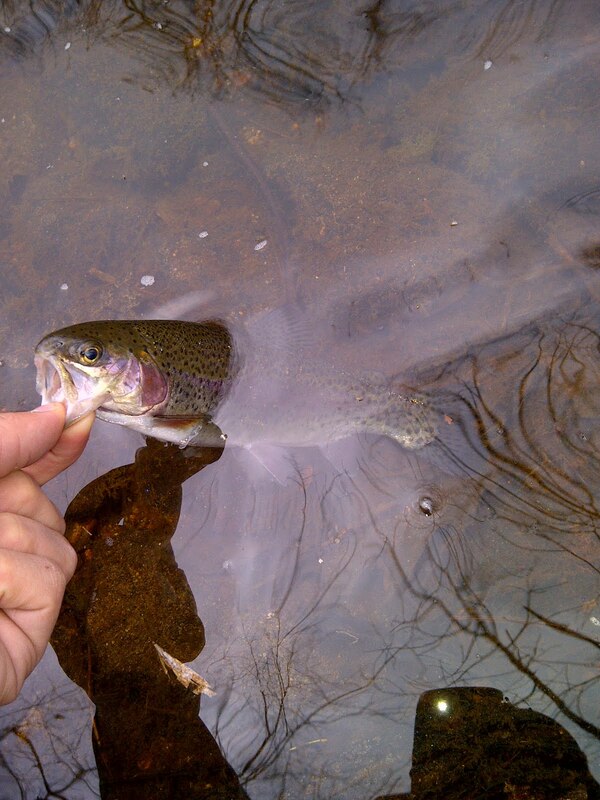 Here's a trout I caught in the Quinnebaug river on Easter sunday. 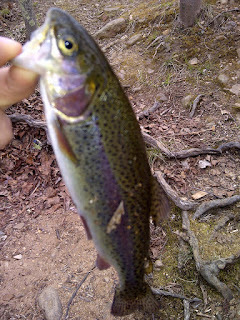 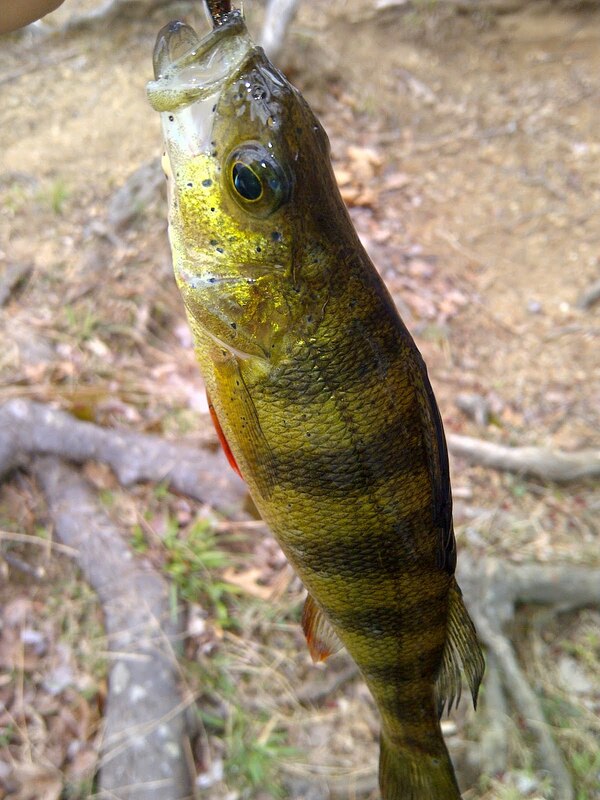 I caught it on a little bead head with white wings. 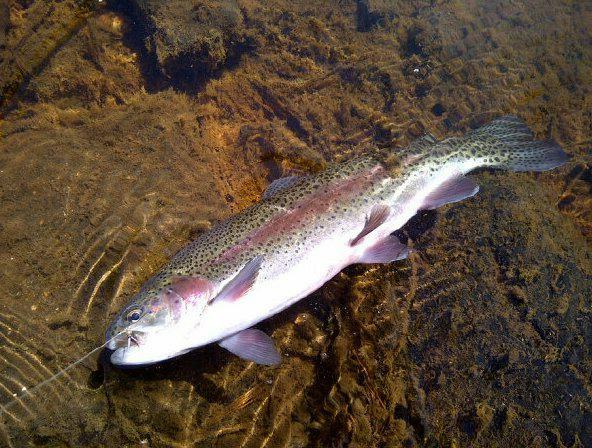 Here's one of the rainbows I caught this week in the Quinnebaug River. 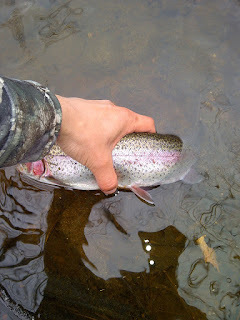 This is fairly close to my house and holds a good number of hold over trout since the tornado made most of this river inaccessible. 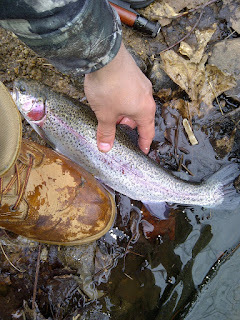 If you can dodge the fallen trees and find a good place to wade you'll have some luck...This was a pretty good one.